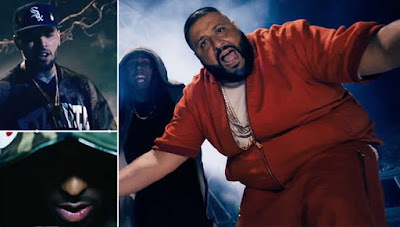 DJ Khaled premieres the video for his new hit “How Many Times” featuring Chris Brown, Lil Wayne, and Big Sean. The fellas perform in a Jurassic Park-like setting with foliage and freaky women, who work the pole and engage in some girl-on-girl action. Look for a cameo from a shirtless Ace Hood. Khaled also confirmed that he has split with Cash Money, during his interview with “The Breakfast Club,”.